Located in the heart of boating country on Lake Erie, Lake & Bay Yacht Sales has been selling new and used yachts since 1982. At Lake & Bay you will receive professional, personalized service throughout the sale of your vessel. I have worked in the marine industry in a variety of capacities for many years. This experience has helped me to provide exceptional service to all of my customers. 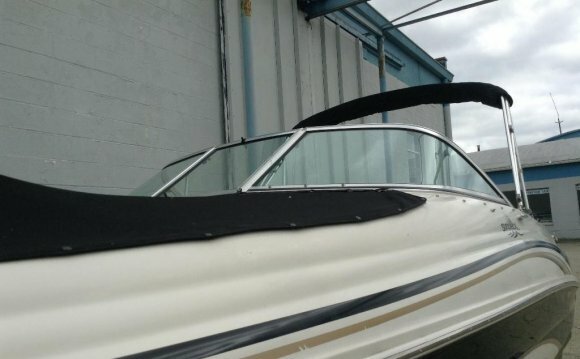 My goal is to make your boat purchase a pleasurable and memorable experience. I look forward to helping you find the boat of your dreams. Specializing in new & pre-owned Egg Harbor Yachts along with selling pre-owned gas and diesel powered Vikings, Hatteras, Bertram, Ocean, Tiara, Post, Sea Ray, Carver, Silverton, and many more. LAKE & BAY YACHT SALES is your Factory Representative for Davis Yachts & Center Consoles, Egg Harbor Yachts, Topaz, Predator Yachts, Silverton Yachts and now Release Yachts for the Great Lakes. Call for details! Office located inside the Lakeside Yacht Service & Storage location at 9454 Park Row, Lakeside, Ohio and 510 Stone St., Marblehead, Ohio It has been another great year for sales at Lake & Bay Yacht Sales. I need new listings to sell. So if you are thinking of selling, contact me asap. Inside heated storage available to show your boat this winter. Working the Miami Show Feb 11-15, at the Factory Display for Buddy Davis, Silverton, Egg Harbor, Release, and Topaz. Stop by and see the NEW 41' Silverton 4100 Express at the new location at the Miami Stadium on Virginia Key.